We were at Westonbirt on Sunday – glorious day and Charlie loves it there. They do a very nice Sunday lunch (all the dog lovers sit outside eating Sunday lunch – quickly before it gets cold – with their gloves on!). Westonbirt is the National Arboretum and it’s magnificent in all weathers, but especially in autumn when the national collection of Acers is at its best. There’s not a great deal to see there at the moment but we did notice some spectacular Sea Buckthorn hedges. This is a very interesting plant and although it’s not well known, it has a lot of uses. 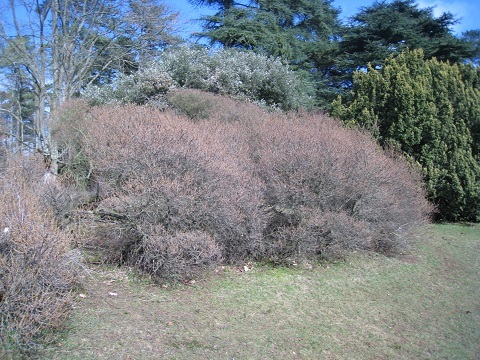 It is very prickly and is great as a vandal proof barrier hedge – the thorns are hidden amongst the berries so it could take an intruder by surprise. 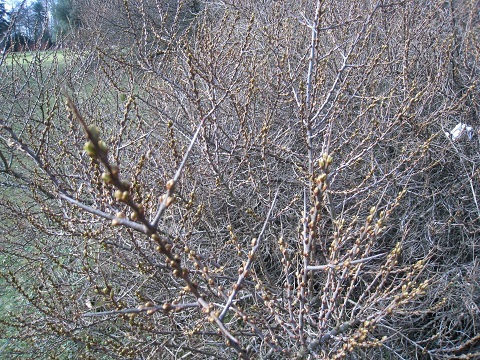 The leaves are an attractive grey colour, which is a common colour for coastal plants. The berries are bright orange and there are loads of them – it makes a spectacular display in Winter and the berries are often retained throughout winter – as indeed they were at Westonbirt although it looked like birds had got most of them. The berries are edible and nutritious (15 times more vitamin C than an orange according to Wikipedia) but bitter and oily – the oils are used in cosmetic production – and in China it is used a great deal as a herbal medicine for coughs, digestion, blood circulation and pain. There is talk of cancer fighting properties (all unproven at this stage). It is resistant to salt spray so that explains it’s name but actually as long as it is grown in full sun it will grown in any soil other than heavy wet soils. It is used to stabilise river banks and on steep slopes, it’s good as a windbreak and its roots fix nitrogen in the soil so it’s of great use in poor soil areas. 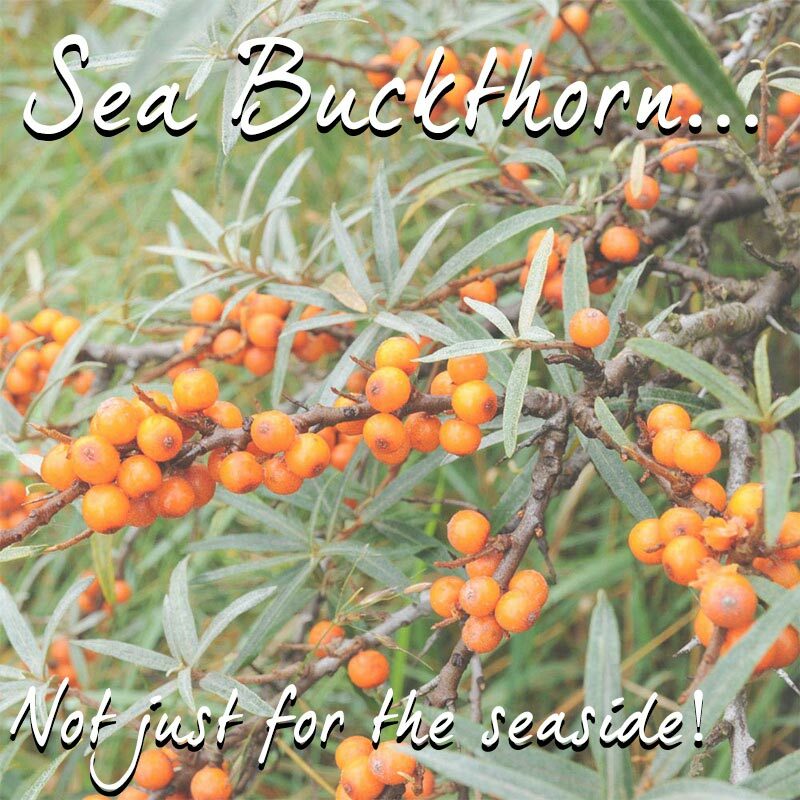 We export to Northern Europe and to France but no further (we don’t like to supply any further south in case the plants don’t do well) but we keep receiving requests for Sea Buckthorn from Greece – you’d think there would be suppliers there – last week we got two enquiries both after large quantities. Tempting as it was (we like big orders! ), we resisted. The wonders of Google! Here are some photos – a close up of the new emerging berries on bronze stems and one showing the overall effect at this time of year of all the bronze growth – in a few weeks time the whole plant will look light grey – both really unusual colours for the garden. 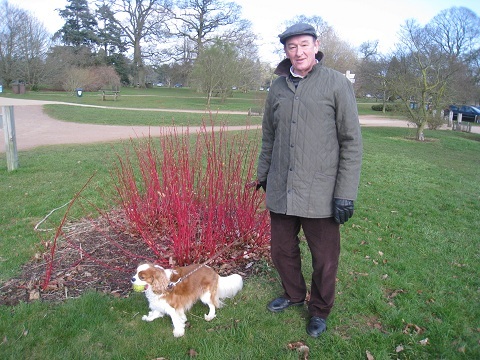 And here’s one of Dave and Charlie standing by some lovely Dogwood – which was labelled as Alba but we think might have been Sibirica.